Desserts are one of the few amazing locations to have fun. The chill of the winds, the beautiful texture of the sand and a campfire at night leaves you emotionally healthy, relieves the mind and calms your soul. Dubai is the real deal. And with an excellent and reputable desert safari Dubai company, the fan goes a notch higher. A desert safari travel company will facilitate you with an extraordinary charming experience. 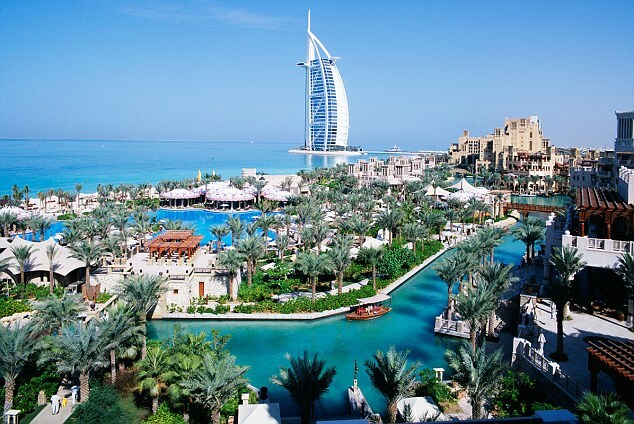 You will be left awe strike with Dubai desert wealth of experience and culture. Great movies have been shot in these deserts, magical migration and even phenomenal books written. Here in Dubai deserts, it’s more than the fan. You will experience the exoticism of camels and other many desert animals. And while you were expecting to see only brown sandy soil, you will be surprised to see yellow and sometimes red soils. The experience will last forever. With quality and technologically advanced Land Rovers, coupled with friendly and professional tour guides with years of experience, your eyes and camera won’t get enough. They will direct you to be unusual and exotic sites. Wildlife locations, desert conservation reserves and traditional desert areas among others. Cultural activities such falconry, henna, and music will come in handy. The music and songs are dark with cultures of the Arab land. From the famous and loved belly dance to the traditional songs, you are sure never going back home! You will also have an opportunity to dress in desert attire; you need those photos! That’s not all; you will learn how to make bread and acquainted with desert recipes. The ingredients are exotic in that they have been there for over 50 years and pass from one generation to the next. And did I mention camel riding? The fun does not end there; you have not had a taste of the Arabian adventures. Coupled with majestic hangouts locations, adventurous facilities of dunes and sands, the challenges that come with them is exciting. You don’t want me to get started on the variety desert sports you can try your hands on. And if you are not well versed with the sports, that’s why you have us as your tour guides. We guarantee fan to the end. We don’t leave you there, a journey in Dubai desert without due bashings thrills is incomplete. The highs and the lows of dunes are magical. You can’t afford to miss. Equally important and you will need a camera for this is the spectacular sunsets. It’s a breathtaking occasion. Dubai desert safari does have a goal when we take you for the tour; we want the moments to last. We pride ourselves with years of expertise, professionalism, and a solid reputation. Rest assured, your best interests will be taken care of satisfactory. The desert terrain is not a walk in the park. They at times can be dangerous. You may be caught holding your breath at every corner and bend. But that shouldn’t worry you. With courteous and experienced drivers, you will be shocked how the terrain is well navigated. Desert Safari Dubai are not newbies on their job. Your safety is our mantra of success. They will ensure they get you to the pit stops early. Doing so will allow you more time to play and have fun before sunset. Before dusk, Desert Safari Dubai will get you back to your camp. Getting to your camp early in the evening enables you to refresh and prepare for the next day. At the camp, it’s mostly dark by then and getting quality pictures is quite problematic. But the yellow sun falling in the horizon and the many camels converged in the camp is quite something to behold. You will find your camp all set. There are no beds in the desert, unfortunately. However, large carpets are rolled with nice big pillow cases as chairs. You will also be happy to find out there are huts for food and coffee. If you like some booze or shisha mixed with juice, there’s always a corner for you. You are experiencing a tradition running for over 50 years. A lot of desert stories are told in the camp, so if you want to learn some few tips and tricks, take a sit in your favorite point. Different Arabic cuisine is served. Most or all of the food is spice-filled. The desert has a variety, from pita bread, samosa, beans, salad greens and the famous falafel. Some barbecued lamb fish and few grits will be served too. You forget all the spice in your food with fantastic entertainment of belly dancers and so much more deep into the night.